What work is it that the faster you work, the longer it is before you're done, and the slower you work, the sooner you're finished? Roasting meat on a spit. 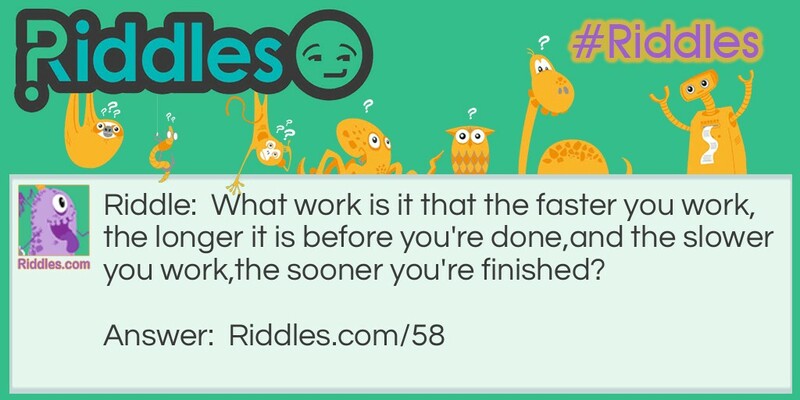 Faster Work, Longer Time Riddle Meme with riddle and answer page link.